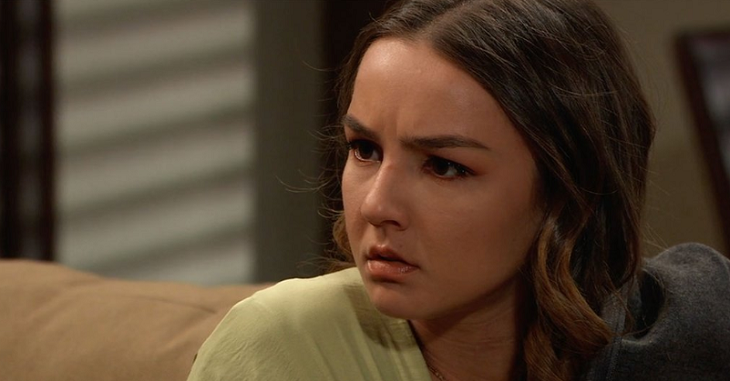 General Hospital spoilers tease that Kristina Corinthos-Davis (Lexi Ainsworth) may escape the Corinthos safe house while it’s Alexis Davis’ (Nancy Lee Grahn) turn to “babysit” her stubborn daughter! Kristina was furious when Jason Morgan (Steve Burton) rescued her from her Dawn Of Day initiation ceremony before it had a chance to start. Even when her father, Sonny Corinthos (Maurice Benard) tried to tell her it was for her own good and it was because he loves her, it didn’t sink into Kristina’s thick, brainwashed head. Staging an intervention complete with her mother and Dr. Neil Byrne (Joe Flanigan) present certainly didn’t help either. Although Neil barely had gotten a chance to really work with her. One thing is certain, no matter how good or experienced the helper is, no one can help someone who doesn’t want to be helped or thinks they need help! Cult members are much like drug addicts or alcoholics. First, they have to recognize they have a problem. Then they have to be willing to solve or receive help solving the problem. Kristina, in her current condition, neither recognizes she has a problem and certainly is not willing to solve it or admit she needs help. General Hospital viewers won’t be surprised to see Kristina run away. Although if she does, the first place family and true friends would need to look would obviously be at the Dawn of Day house. Shiloh Archer (Coby Ryan McLaughlin) may feel it would be best that she stays with Harmony’s (Inga Cadranel) group in Beechers Corners for a while until he can think of something to call the dogs off of his trail! If she does run away when during Alexis’ watch, she will probably panic when she finds out Kristina’s gone. She will also wonder how in the world she could escape a Corinthos safe house. Unless of course, she talked Sonny into removing her from the safe house and back to Alexis’ own house. Sonny doesn’t have any security or guards in place there. If this is the scenario, you can bet that Sonny will have some very choice words for Alexis. So will Kristina escape and run back to Shiloh and the cult? Stay tuned to General Hospital and keep watching General Hospital spoilers frequently to see what happens, and for all the latest news, updates, and developments!